Adding Parentia to Doccle. Receive certificates of your child benefit fund. Adding Parentia to Doccle. Receive certificates of your child benefit fund. Receive, store and check your certificates of your child benefit fund on Doccle. How to add Parentia ? 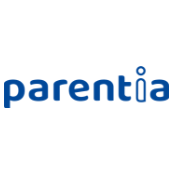 You can log in via the Parentia portal. You do not have to enter any Doccle codes. Click on “Doccle Connect” from the Parentia portal and log in.